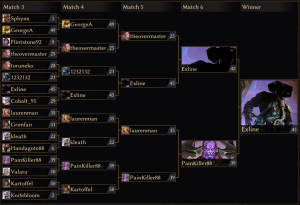 Envoys brought thousands of players together to compete in the third public test of Eternal‘s in-game tournament system. It didn’t go quite as we planned, but we did have a special event for the Top 64 qualifiers last Sunday. Congratulations to Exline, who won the tournament!